Training, like life, is a messy business. I say this because lately I’ve been working with two excellent models of athletic training, Pose Method and MAF. Writing about them is the easy part. Applying them is more difficult. I recently ran across a very interesting case of a Pose/MAF enthusiast who wants to develop an aerobic base according to MAF principles, but has to sacrifice the correct form (a.k.a. running Pose) to do so. However, just because you get plantar fasciitis when you run at an aerobic intensity—which for most people means “running slowly” (OK, very slowly)—does NOT mean that you get to skip building an aerobic base. Building an aerobic base is important. And to ensure any sort of long-term well-being (particularly as an athlete), it’s necessary. One of the key functions of the aerobic system is to buffer and absorb the stresses induced by high-intensity activity. 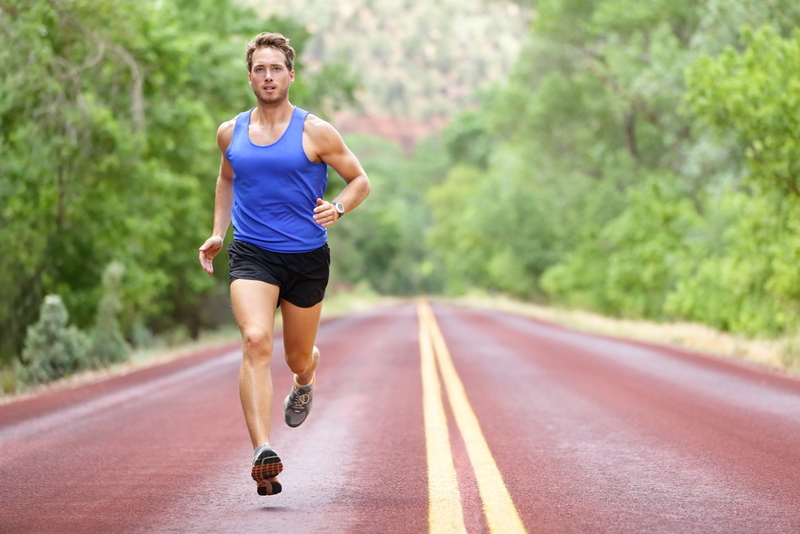 In order to develop a good aerobic base, it’s important to stay at a low intensity. According to the MAF Method, the point at which you get the most bang for your buck out of aerobic base building is just under the MAF Heart rate (what researchers refer to as the “aerobic threshold”). Allowing it to rest between periods of high-intensity activity. Creating opportunities for it to be the main provider of energy for exercise. So, when someone has to forgo the period of low-intensity training that we typically term “aerobic base training,” it becomes very important to strategize the stresses of exercise. On the metabolic side, running slow isn’t worth the plantar fasciitis it’ll create (in this case). And on the biomechanic side, we have to be careful that the stresses of running at a higher intensity don’t exceed what an untrained aerobic base can handle. Keep sessions short (read: fatigue-free) and high-intensity (threshold pace and above). Do longer (also fatigue-free) sessions below the anaerobic threshold. In regards to aerobic training: even if you walk quickly, you’re unlikely to come close to your MAF HR. However, you’ll still be able to develop aerobically at a slower pace. A better option, if you have the means, is to go doing moderate hiking with your heart rate monitor, which should put your heart rate a little bit closer to MAF, for the most part. I myself happen to have trails 5 minutes away from my doorstep (downtown! ), but that isn’t the case for most of us. Jumping rope will get your heart rate closer to MAF than walking. 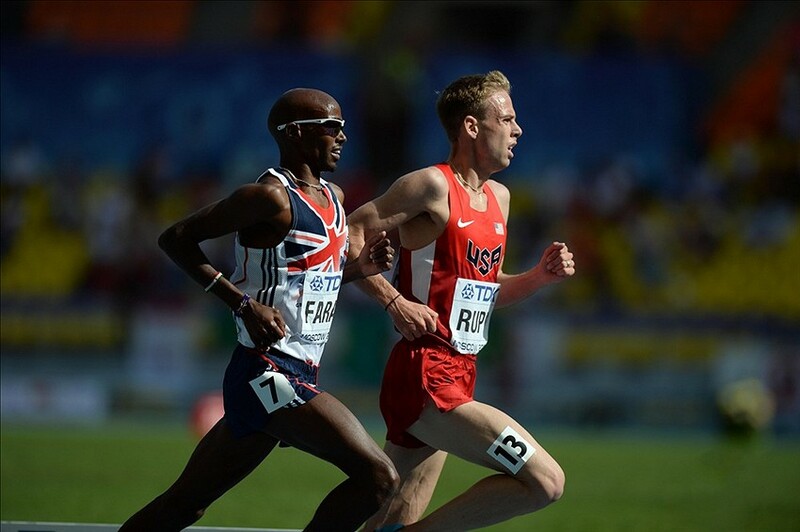 Another benefit is that it helps you train one of the key components of running: the Pose. The Pose is that snapshot of the running gait where one foot is on the ground, the other is passing under the hips, and the body is in a slightly S-shaped stance. By jumping rope—or even better, (a) jumping rope while alternating feet or (b) doing simple Pose drills in the process—it’s possible (for a lot of us) to train the running Pose without going over the MAF HR. (Remember: trying to maintain the running Pose was the initial reason for exceeding MAF.) But after having practiced the running pose under the MAF HR, it’ll take comparatively less aerobic base training to be able to produce the running Pose at the desired, low-intensity heart rate. How long will it take to develop an aerobic base that’s good enough to maintain a running Pose throughout a run? It really depends on the person: their metabolic and biomechanical starting point, lifestyle, and devotion to their pursuit of athleticism. Reader question: How would I fuel during a long run? Allow me to be a bit tongue-in-cheek here. If SteveL means what we usually do by “long run”—that is, a training run and not a race—my answer is, “with body fat and oxygen.” In other words, not at all. The physiological details of this are best left to another post, but the short answer is this: the goal of a long run is not just to run for a long time, but to develop the system that helps us run long. Crucially, that system is known as the aerobic system, which you can think of as the system that burns fats in presence of oxygen. Here’s the critical detail: the fat you eat doesn’t reach your bloodstream for a few hours. So, unless your long run is very long, any fats you ingest during the run aren’t really going to go towards fueling that run. First and foremost, it enables your long run to be faster than is healthy: you’re liable to do what looks like a long run but is actually a bunch of short, medium/high-intensity training runs that in aggregate masquerade as a long run. Because you’re fueled with sugar lets your aerobic (fat-burning) system off the hook , which is the system that is supposed to power your long run. You’re using the short-duration, high-intensity (sugar-burning) system for a what should theoretically be a long-duration, low-intensity activity (which you’re effectively turning into a long-duration, medium/high intensity activity). You’ll wear your body down disproportionately. To recap: no fuel for long training runs. Fats won’t help, and sugar is counterproductive. Fueling during a race is different. You’re not trying to train anything here. You’re trying to get every bit of power you can from the machinery you’ve been developing in training, with the provisos that you (1) finish the race and (2) don’t blow the engine. This means that you want to make sure you’re well-fueled (and you stay well-fueled) during a race. For anything that’s marathon length or below, fats still won’t help. For the vast majority of us, it’s still too short of a race. So, such races are the ones you want to approach with the run-of-the-mill advice on race fueling: your carb solutions and gels work great here. There’s one consideration: don’t start fueling until you’re 20-30 minutes into the race. When your body isn’t already warmed up, it’s very easy for a shot of sugar to kick up your insulin levels, which reduces your fat-burning ability. But once you’re warmed up and burning fats at a high level, sugar has a much smaller effect. Here’s where it gets tricky. There’s two sets of priorities to discuss: the physiological needs of the body and the practicality of fueling on the run. Digestion (continued function of digestive system throughout the run). Creating a food that fits easily through the valve of a handheld water bottle. Add 1 cup of water into blender. Add all ingredients (heavier ingredients first). Blend on low until well-chopped. For a recipe such as this, I usually drink one serving (about 42 oz) over a period of 2-3 hours. This generally takes care of both my fueling and hydration concerns. This suggestion is a TEMPLATE for people to try out during training runs. It’s important to adapt this or any recipe, workout, training plan, or racing strategy to your personal needs. The reason I like including sizeable portions of all 3 macronutrients (carbs, fats, and proteins), is to incentivize the body to maintain the digestive system activated in a low-key but comprehensive way. This applies for protein in particular: while protein will not go towards fueling the body during a race, I put a small amount of it in order to create a more balanced digestion process. The same goes with fiber (occurring mostly in the spinach, blueberries, and chia seeds). Ultramarathoners are prone to cramps, indigestion, and other digestive issues during the race. By putting a small amount of natural fiber in here (not so much that it slows down digestion), we can help “smooth out” digestion during the race. As you’ll notice, one serving of this drink has a staggering amount of potassium (almost 1.3g) and a respectable amount of sodium (just over 0.13g). The reason I like this 10:1 ratio of potassium to sodium is because a lack of potassium is linked to muscle cramps, and reduced nervous system function. (This can lead to lower coordination and reaction time, which can cause an injury). Generally speaking, more potassium is better (up to a point, of course). 130 mg of sodium every 2-3 of hours is quite enough to keep a well-adapted athlete going during a long race. The sugar calories are straightforward: these will go towards topping off your glycogen tank, in order to stave off fatigue and help your aerobic engine continue to burn fats. Now we get to the tricky bit. Supposing that you drink 1 serving of the recipe in 2 hours, you’re getting around 160 calories of carbs and 155 calories of fats an hour. You might think that’s not really a lot of carbs. However, that’s the reason a majority of the fats in the drink come from medium chain triglycerides (MCTs), sourced from coconut oil. MCTs are relatively easy to digest relative to other fats, and they also become available for fat-burning very quickly upon hitting the bloodstream, helping to increase fat-burning and accelerating the metabolism. In other words, “reducing” the possible sugar content of this drink by balancing it out with coconut oil is an excellent strategy for endurance races. A few ideas for generalized injury-prevention for runners. As I often discuss here, I don’t believe that injury-prevention should be put in a different category from athletic training. Injury-prevention isn’t something you should do on the side. It should form an integral part of your training. Why? Because injury-prevention is all about resilience, and as far as the human body is concerned, resilience means using more muscles to achieve the same task. It doesn’t matter what athletic discipline you practice: running, golf, or martial arts. The more of your body that goes into whatever movement you’re doing, the better off you’ll be. And that means one thing above all others: use more muscles. That’s why a lot of injury-prevention websites for runner’s knee focus towards working the small muscles—gluteus medius, hip adductors, foot dorsiflexors—a.k.a. all the neglected ones. By putting all of these muscles in play during athletic activity, the body not only becomes more resilient, but more powerful. In other words, the more resilient you can make your body, the more powerful it will be. So how can we apply this to running? One of the main problems most runners experience is that the posterior muscles (calves, hamstrings, glutes, back extensors) become too developed, since they have the most vital functions in the running stride: the first is concentric—extending the leg and back to push against the ground. The second is eccentric—arresting the body’s forward lean so that the runner doesn’t crumple forwards. With a few exceptions, the anterior (frontal) muscles main function is to work opposite to the posterior muscles, in order to allow the runner to lift the leg forwards during the swing phase. 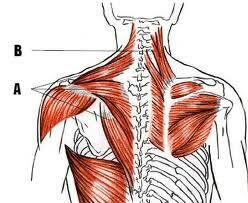 (Think of it this way: muscles at the back generally move body parts backwards, and muscles at the front generally move them forwards). This means that the most common form of muscle imbalances, which often lead to lateral knee pain and other ailments, are rooted in a dominance of the posterior muscles over the anterior muscles. The most basic thing that any athlete can do, for the purpose of preventing injury—and making their running stride more powerful as a side-effect—is to develop the anterior muscles so that they can move more powerfully. Sit-ups that emphasize balance through core activity (such as those shown in this video). Because the gluteus maximus—the most powerful posterior muscle—works not only to extend the thigh but to abduct it (rolling it away from the body), it’s necessary to work on the adductors (which roll the hip in), in order to balance out these muscle groups. Leg/Knee raises help address this. The closer you bring the legs towards the chest, the more you will emphasize the inner abdominal muscles (such as the illiopsoas), as well as the hip adductors. Hanging leg lifts. Doing it with straight legs works the obliques of the core and thigh. Bicycle crunches are also amazing for balancing all of the core/hip muscles. This exercise is great for strengthening to frontal calf muscles. Even though running is all about triple extension (of the hip, knee, and ankle), you need to be able to flex those joints, in order for your extension to have a greater and greater range of motion. The stronger your posterior muscles get, the more you’ll find yourself “staving off” muscle pain by stretching. The ultimate answer is to strengthen the anterior muscles, so that they can interact properly with the posterior muscles.